Timma’s recently unveiled a few of its party wear dresses for women. 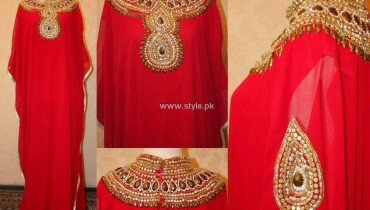 Timma’s party wear dresses 2012 by Fatima Irfan are a part of the collection called Gems Collection. The dresses include long shirts and churidaars. The shirts are printed or plain and many of them are color blocked. Moreover, many of the shirts in Timma’s party wear dresses 2012 by Fatima Irfan have sequined motifs on the front. The dresses are made out of silky materials. 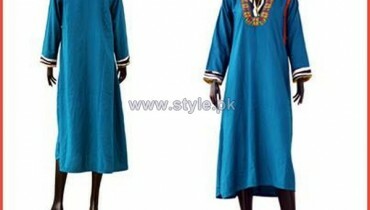 Timma’s party wear dresses 2012 by Fatima Irfan are good for wearing to all sorts of parties. The stylish dresses will be best for younger women. Timma’s was launched by Fatima Irfan a few years ago. The designer, Fatima Irfan has a professional degree in the fashion designing field. Moreover, she is well aware of what women of today want in clothes. Thus, she is able to design perfect dresses for women. Timma’s outfits are very good for party wear as well as casual wear. They are also really trendy and so are liked by a number of style conscious women. You can see Timma’s eid collection 2012 to see what we mean. The designer can be contacted for appointments through phone. Emails can also be sent to the designer if someone has a query. Timma’s party wear dresses 2012 by Fatima Irfan can be viewed in the pictures given below. You can visit the Facebook fan page to view more of Timma’s party wear dresses 2012 by Fatima Irfan. The page will also provide you with the email address and phone number through which the designer and the team of Timma’s can be contacted. So visit the page for further information regarding Timma’s by Fatima Irfan. The address has been given for you.